CODE OF VIRGINIA TITLE 19.2. CRIMINAL PROCEDURE. CHAPTER 9. BAIL AND RECOGNIZANCE. ARTICLE 4. BAIL BONDSMEN. CODE OF VIRGINIA TITLE 19.2. CRIMINAL PROCEDURE. CHAPTER 9. BAIL AND RECOGNIZANCE. ARTICLE 2. RECOGNIZANCE. A. CODE OF VIRGINIA TITLE 19.2. CRIMINAL PROCEDURE. CHAPTER 9. BAIL AND RECOGNIZANCE. ARTICLE 4. BAIL BONDSMEN. § 19.2-152.1 Bondsman’s certificate; limitations on bail business. The revenue license authorized in § 58.1-3724 shall not be issued by any county, city or town unless and until the applicant shall have first obtained a certificate from the judge of the circuit court of the county or city, in which he desires to carry on the business of professional bondsman, approving the issuance of the license and certifying that the applicant is of good moral character, that his past conduct before the courts of said county or city has not been unsatisfactory and that he is suitable to be so licensed. Before the issuance of such certificate the judge of the circuit court may review the record of the applicant as furnished by the Federal Bureau of Investigation. Prior to the issuance of such certificate, the judge of the circuit court may confer with the judge or judges of those courts in which such bondsman seeks to act. A license granted to a professional bondsman in any such county or city pursuant to § 58.1-3724 shall authorize such person to enter into such bonds in any other county or city, provided that upon entering into any bond conditioned upon real estate, cash or certificates of deposit issued by a federally insured institution, or any combination thereof as collateral in any other county or city such bondsman makes affidavit that the aggregate of the penalty of such bond together with all other bonds in the Commonwealth on which he has not been released from liability is not in excess of the true market value of the equity in his real estate, cash or certificates of deposit issued by a federally insured institution, or any combination thereof. 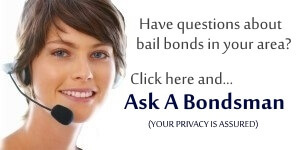 No professional bondsman shall enter into any such bond if the aggregate of the penalty of such bond and all other bonds, on which he has not been released from liability, is in excess of the true market value of his real estate, cash or certificates of deposit issued by a federally insured institution, or any combination thereof. Each professional bondsman, if so directed by the judge of the circuit court of the county or of the city in which he is licensed, shall place a deed of trust on the real estate that he is using for the limit of his expected bonded indebtedness to secure the Commonwealth of Virginia and shall name the attorney for the Commonwealth of the affected locality as trustee under the deed of trust or shall place the requisite cash or certificates of deposit issued by a federally insured institution, or any combination thereof with the court. In addition thereto, he shall furnish the clerk of the appropriate court an acceptable appraisal and title certificate of the real estate subject to any such deed of trust. Each professional bondsman licensed here-under shall file with the clerk of the circuit court of the county or city in which he is licensed not later than the fifth day of each month a list of all outstanding bonds on which he was obligated as of the last day of the preceding month, together with the amount of the penalty of each such bond. No court shall certify and no revenue license shall be issued as provided in this section to a person who had not obtained a certification and license prior to July 1, 1989, unless such person provides to the issuing court collateral of $200,000 on his bonds and $200,000 on the bonds of each of his agents. Any professional bondsman or agent for any professional bondsman, qualified under this section, shall be subject to and governed by any reasonable rules of conduct or procedure set up by the judge of the court in which he is acting as a bondsman. Such rules shall include the requirement that such bondsman give written notice to the clerk of the circuit court of each change in the number of agents in his employ within seven days of such change and provide $200,000 collateral for each additional agent and may include a requirement that such bondsman or agent place a reasonable amount of cash or negotiable instruments in escrow with the clerk of said court to be held during the time such bondsman or agent is acting as a bondsman in said court, provided that said clerk is acting under a bond of sufficient amount and coverage to insure protection against loss, theft, or misappropriation. Upon his violation of such rules, he may, after hearing upon a charge of such violation, be suspended from entering into further bonds in said court by the judge thereof. If such bondsman or agent fails to have in escrow with the clerk of said court a sum sufficient to cover any forfeiture of bond against him and fails or refuses to pay such forfeiture after notice and demand by the judge of the court he may be suspended by such judge from entering into further bonds in said court until the forfeiture is paid or it is adjudicated that he is not liable thereon. No person after July 1, 1981, who has previously not been licensed shall be licensed here-under either as a professional bondsman or agent for any professional bondsman, when such person, his or her spouse, or a member of his or her immediate family holds any office as magistrate, clerk or deputy clerk of any court. Nothing in this section shall be construed to apply to guaranty, indemnity, fidelity and security companies doing business in Virginia or their agents and attorneys-in-fact, under the provisions of Chapter 24 (§ 38.2-2400 et seq.) of Title 38.2, except that agents and attorneys-in-fact of guaranty, indemnity, fidelity and security companies entering into bonds for bail, appearances, costs or appeal in criminal cases, shall be required to obtain a certificate from the judge of the circuit court in which he desires to carry on the business of professional bondsman, certifying that the applicant is of good moral character, that his past conduct before the courts of said county or city has not been unsatisfactory and he is suitable to be a licensed bondsman. Such certificate shall authorize such persons to enter into such bonds in any other county or city. Such agents and attorneys-in-fact shall be subject to any reasonable rules of conduct or procedure and discipline for the violation of same as may be ordered by the judge of the court in which they act for such companies. No person may act as such an agent or attorney-in-fact when such person, his or her spouse, or a member of his or her immediate family holds any office as magistrate, clerk or deputy clerk of any court. Where default recorded; process on recognizance; forfeiture on recognizance; when copy may be used; cash bond. When a person, under recognizance in a case, either as party or witness, fails to perform the condition of appearance thereof, if it is to appear before a court of record, or a district court, a hearing shall be held upon reasonable notice to all parties affording them opportunity to show cause why the recognizance or any part thereof should not be forfeited. Notice of such hearing shall be sent to sureties by court. If the court finds the recognizance or any part thereof should be forfeited, the default shall be recorded therein, unless, the defendant or juvenile is brought before the court within sixty days of the findings of default. After sixty days of the finding of default, his default shall be recorded therein, and if it is to appear before a district court, his default shall be entered by the judge of such court, on the page of his docket whereon the case is docketed unless the defendant or juvenile has been delivered or appeared before the court. (See above, 60 days after default). Evidence that the defendant or juvenile is incarcerated or subject to court process in another jurisdiction on the day his appearance is required or a medical certificate from a duly licensed physician that the defendant was physically unable to so appear shall be considered evidence of good cause why the recognizance should not be forfeited. § 19.2-144 Forfeiture of recognizance while in military or naval service. If in any motion, action, suit or other proceeding made or taken in any court of this Commonwealth on a forfeited bail bond or forfeited recognizance, or to enforce the payment of the bond in any manner or any judgment thereon, or to forfeit any bail bond or recognizance, it appears that the person for whose alleged default such bail bond or recognizance was forfeited or judgment rendered, or such motion is made or proceeding taken, was prevented from complying with the condition of such bail bond or recognizance by reason of his having enlisted or been drafted in the army or navy of the United States, then judgment or decree on such motion, action, suit or other proceeding shall be given for the defendant. If the defendant or juvenile appears before or is delivered to the court within twelve months of the findings of default, the court shall remit any bond previously ordered forfeited by the courts, less such costs as the court may direct. If it is brought to the attention of the court that the defendant or juvenile is incarcerated in another state or country within twelve months of the finding of default, thereby preventing his delivery or appearance within that period, the court shall remit any bond previously ordered forfeited. If the defendant or juvenile left the Commonwealth with the permission of the court, the bond shall be remitted without deduction of costs; otherwise, the cost of returning him to the Commonwealth shall be deducted from the bond. If the defendant or juvenile posted a cash bond and failed to appear, but is not tried in his absence, the bond shall be forfeited promptly without further notice. However, if the defendant or juvenile appears in court within sixty days after the bond is forfeited, the judge may remit part or all of any bond previously forfeited and order a refund of the same by the State Treasurer. § 19.2-145 How penalty remitted. When in an action or on a motion to extend the period for enforcement of a judgment on a recognizance the penalty is adjudged to be forfeited the court may on an application of a defendant or juvenile remit the penalty or any part of it and render judgment on such terms and conditions as it deems reasonable. C. Caldwell v. Commonwealth, 55 Va. (14 Gratt.) 698 (1858); Bowling v. Commonwealth, 123 Va. 340, 96 S.E. 739 (1918); Bolanz v. Commonwealth, 65 Va. (24 Gratt.) 31 (1873). The statute invests the courts with discretionary powers to meet the exigencies of particular cases by remitting the penalty in whole or in part, and rendering judgment on such terms and conditions as it deems reasonable. § 19.2-149 How surety on a bond in recognizance may surrender principal and be discharged from liability. to the court before which the recognizance was taken or before which such principal’s appearance is required, or to the sheriff, sergeant or jailer of the county or city wherein the court before which such principal’s appearance is required is located; in addition to the above authority, upon the application of the surety, the court, or the clerk thereof, before which the recognizance was taken, or before which such principal’s appearance is required, shall issue a capias for the arrest of such principal, and such capias may be executed by such surety, or his authorized agent, or by any sheriff, sergeant or police officer, and the person executing such capias shall deliver such principal and such capias to the sheriff or jailer of the county or the sheriff, sergeant or jailer of the city in which the appearance of such principal is required, and thereupon the said surety shall be discharged from liability for any act of the principal subsequent thereto. Such sheriff, sergeant or jailer shall thereafter deliver such capias to the clerk of such court, with his endorsement thereon acknowledging delivery of such principal to his custody. § 19.2-148 Surety discharged on payment of amount, etc., into court. A surety on a bond in a recognizance may, after default, pay into the court from which the process has issued, or may issue thereon, the amount for which he is bound, with such costs as the court may direct, and be thereupon discharged. CODE OF VIRGINIA TITLE 19.2. CRIMINAL PROCEDURE. CHAPTER 9. BAIL AND RECOGNIZANCE. ARTICLE 1. BAIL. "Bail" means the pretrial release of a person from custody upon those terms and conditions specified by order of an appropriate judicial officer. "Bond" means the posting by a person or his surety of a written promise to pay a specific sum, secured or unsecured, ordered by an appropriate judicial officer as a condition of bail to assure performance of the terms and conditions contained in the recognizance. "Recognizance" means a signed commitment by a person to appear in court as directed and to adhere to any other terms ordered by an appropriate judicial officer as a condition of bail. Re: In re BAIL AMERICA BONDING CO., Misc. No. 6557. The evidence presented at the December 11, 1998 hearing demonstrated that Mr. Tommy Simpson, an agent of BAB, had written a bail bond for Mr. Hector Castrejon, a defendant in a criminal proceeding pending in the Fairfax General District Court, for which he received from Mr. Arturo de la Torre, a friend of Castrejon, $1,350: $350 as a bond premium, $1,000 in cash and title to Mr. de la Torre’s truck as collateral. Mr. de la Torre received a receipt which listed the amounts received, denominating the $1,000 in cash collateral as "Miscellaneous Charges," and indicating that the collateral was accepted in connection with a bond written by BAB for Mr. Castrejon. This Court has accordingly entered an order today, January 27, 1999, suspending the authority of BAB, its principals, and agents from writing bail bonds in criminal matters pending in the 19th Judicial Circuit after February 1, 1999. This Court, moreover, has received applications for the approval of new agents for BAB. No such application will be considered for approval before July 31, 1999. Finally, only after July 31, 1999, may BAB reapply for authority to write bonds in criminal matters pending in the 19th Judicial Circuit. In connection therewith, BAB will be required to submit a plan showing how the company will in the future monitor activities of its agents and maintain accurate records of bail bonds received. Roger D. ROBERTS, t/a Allstate Bonding Company, etc. v. BOARD OF SUPERVISORS OF ROANOKE COUNTY. Agent and attorney-in-fact for insurance company sought declaratory judgment that he was not required to obtain revenue license as professional bondsman under county ordinance. The Circuit Court, Roanoke County, denied petition. Agent appealed. The Supreme Court, Carrico, C.J., held that agent was required to pay license tax as professional bondsman. The Circuit Court’s decision was affirmed. COMMONWEALTH of Virginia v. ALLSTATE BONDING COMPANY, et al. Commonwealth moved for forfeiture of bail bonds. The district court ruled that bonds should be forfeited, and sureties appealed. The Circuit Court, City of Roanoke, reversed, and appeal was taken. The Supreme Court held that a delay of 13 months to more than three years between defendants’ failure to appear and issuance of notices to sureties to show cause why bonds should not be forfeited did not preclude forfeiture. At this time, there appear to be no additional regulations specifically for "Bounty Hunters" in the Virginia statutes.